WEPCO offers two (2) checking account options – regular Share Draft and Priority Checking1. Regular Share Draft accounts offers convenient access to your funds via checks or a VISA debit card. Priority Checking offers the same convenient access with bells and whistles like $1,000 worth of grocery coupons, discount travel, discount movie tickets, product extended warranty and more for just $5.00 a month. 1Must be at least 18 to open a share draft. Click the link above for more details. WEPCO offer online banking called PAL Plus. Access your account for transfers, check accounts and more 24/7. For even more convenience, we offer mobile banking and a free app for access via any mobile device! Enroll for mobile banking via full PAL Plus access and your set when you’re on the go! Get your 2019 Application here! must write a 300 word or less count brief statement of your aspirations, goals and why WEPCO should choose you for our $1000 Scholarship. The Scholarship Applications will be available January 2nd each year at any branch location. Scholarship winner will be chosen each year by April 26. •Excellent opportunity for someone starting a credit history or for someone who has been turned down for a credit card. •Remember, late payments and going over the credit limit may damage your credit history. 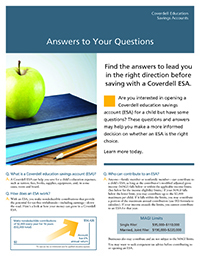 A Coverdell Educational Accounts are an investment tool created for the purpose of paying for the future cost of a child’s primary or secondary education. The plan allows total after-tax contributions per year for each child until they reach the age of 18. These contributions and their subsequent earnings are tax-free when withdrawn to pay for qualified education expenses. Click the image below for more details. You can submit a free application through Free Application for Federal Student Aid (FAFSA). Learn more about FAFSA by clicking HERE. To submit your FAFSA application, you may click here to be directed to their site.